What is the overall process of installation? 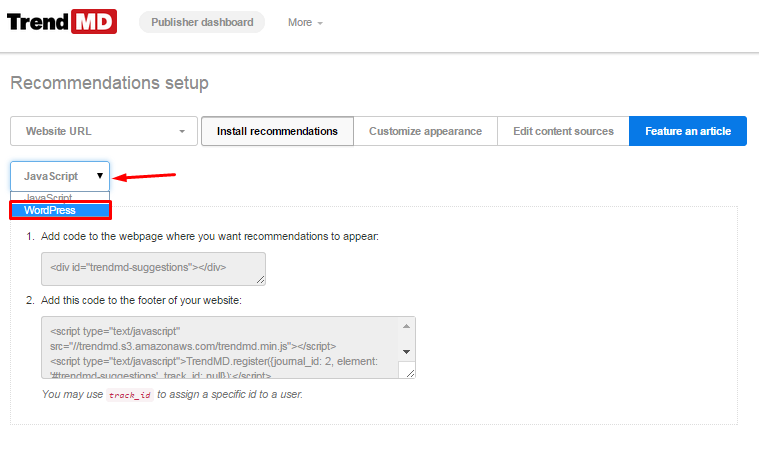 Installing the TrendMD recommendations widget is easy. 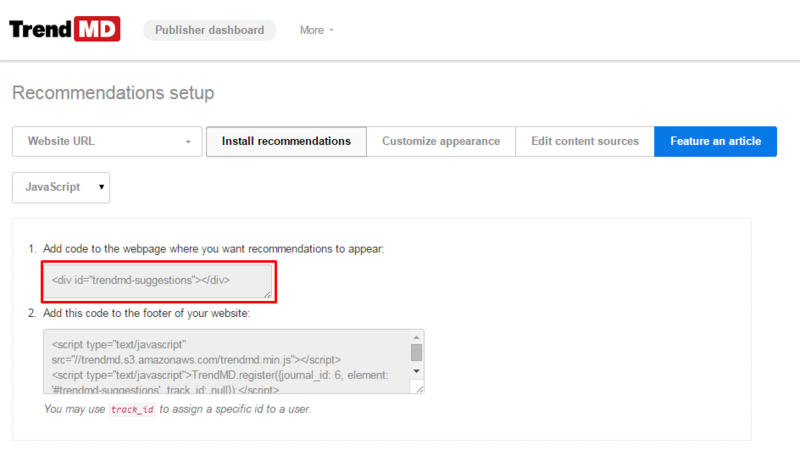 After getting an account created and your content indexed, your Account Manager will send you your site-specific widget code. Setup takes as little as 10 minutes. What will TrendMD look like once installed on my website(s)? The TrendMD widget will automatically pick up the visual themes from your site (it will default to your existing CSS). 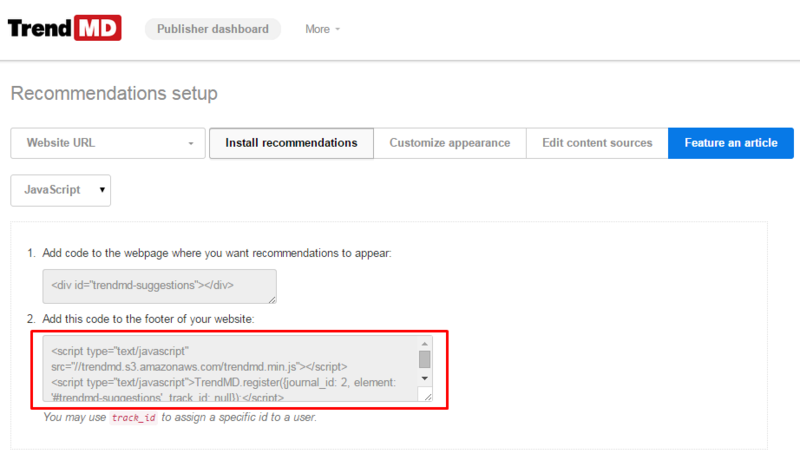 However, both the appearance of the widget and the content presented by the widget can be fully customized using your dashboard. You can also use the !important rule to alter the CSS for the widget. What placement of the widget do you recommend? That said, we encourage you to A/B test to determine the optimal widget placement that yields the highest clickthrough rate. We are transitioning to a redesign and a new platform, should we wait until after the transition to install TrendMD? 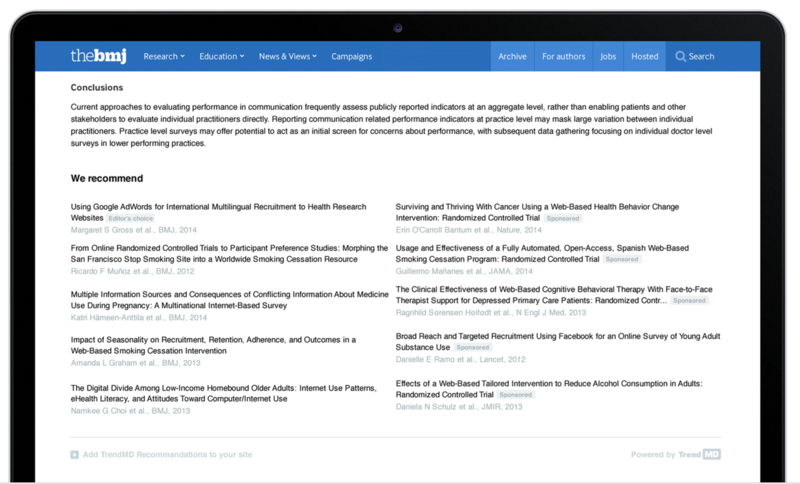 TrendMD will crawl and index your publicly available article pages on your website(s). Please contact your TrendMD account representative for questions or [email protected] to get started.